We will provide a brief update of the most recent advances in targeted therapies for triple-negative breast cancer (TNBC) to help guide the practicing oncologist faced with the dilemma of how to treat this complex disease. 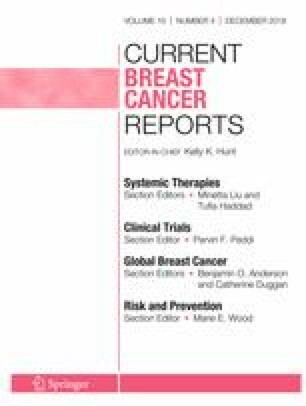 The current standard of care remains chemotherapy, with recent data supporting the use of platinum agents and poly(ADP-ribose) polymerases (PARP) inhibitors. Immune checkpoint inhibitor trials have also shown efficacy. TNBCs are grouped together, yet there is an extraordinary amount of diversity amongst these cancers, which have distinct molecular subtypes that predict response to therapy. The use of platinum agents and PARP inhibitors is now well supported. Novel agents including checkpoint inhibitors and antibody-drug conjugates hold promising avenues for the future.